The four textbooks for my online European History course arrived early Friday morning. I was sitting around in my blue fleece polar bear pajama pants, drinking coffee when the doorbell rang. Besides the fact that my mom and uncle used to hit the floor and hide when unexpected guests arrived on their driveway, I can’t really explain the adverse reaction the doorbell causes in our house. My fully dressed son looked out the window and seeing the Canada Post truck, ran for the hills. “C’mon Ben! I’m in my pajama pants!” I pleaded. “Just answer the door!” I heard the lock on his bedroom door click. I’m recounting the experience as therapy today. Thank you for listening. 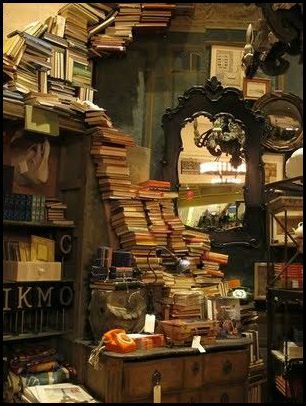 The books were taking over the shop, climbing walls, settling into crevice and cranny, as if they were alive. What is the enchantment of new (and of course, old) books? I already own more books than I may ever read, and yet can barely resist the lure of Amazon, the book aisle in Superstore, local bookstores or other people’s libraries. One of the most exciting things about my European History course is its four textbooks. Four! Good books become objects of meaning. 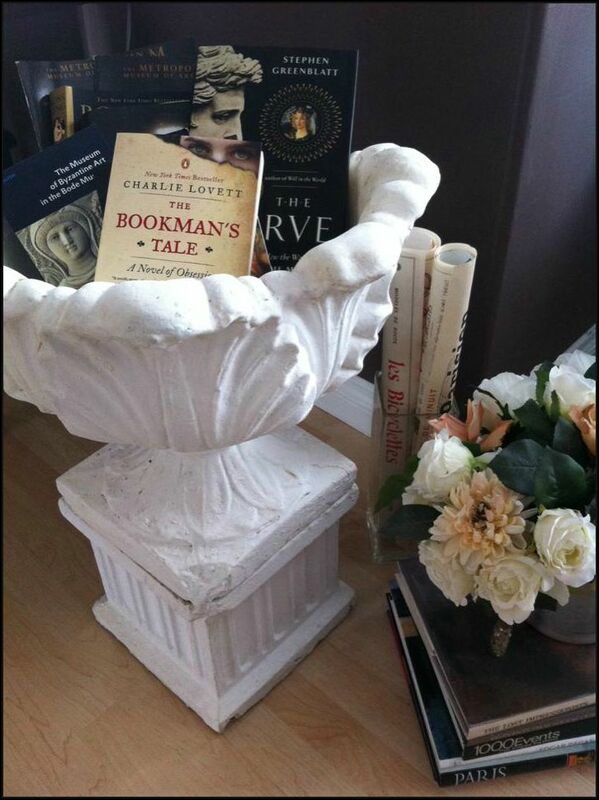 They mark the history of our personal growth, becoming trophies of new knowledge and insight. I like to keep my books in full view, as visible road maps not only of where I’ve been, but where I’m going. They spill from bookcases, sitting in piles on table and floor, reminding me of who I am. Last summer I was introduced Stephen Greenblatt’s, Pulitzer prize winning book, The Swerve. Greenblatt, a professor of Humanities at Harvard, tells the tale of Poggio Bracciolini, a 14th century Italian scholar who went on a treasure hunt for lost manuscripts in French, Swiss and German monastic libraries. Through good timing and good fortune, Poggio eventually found an important manuscript, the De Rerum Natura (On the Nature of Things). This first century BC poem, is written by Lucretius, explaining Epicurean philosophy to a Roman audience. Seen as the most dangerous of ideas, the poem suggests that the universe functions without the aid of god(s), and that religious fear is damaging to human life. In richly poetic language, it also explores Epicurean atomic physics and questions of the mind, soul and thought. Greenblatt’s thesis in The Swerve is that the rediscovery of this manuscript shaped the thinking of the early Renaissance. He argues that this swerve in thought also influenced Galileo, Freud, Darwin and Einstein, eventually leaving its trace on the Declaration of Independence. I found The Swerve a sparkling read. Some scholars and critics didn’t agree with me though. Some thought that Greenblatt was molding history to fit his personal ends (as if that was something new), criticizing his portrayal of the Renaissance as ‘an outburst of light after a long medieval darkness.’ Others saw it as an anti religious polemic, reacting with swift indignation, even suggesting Greenblatt’s award be rescinded. But the general public mostly received The Swerve as a brilliant work of non-fiction. As for me, I swept up in the book hunter’s pursuit of ancient manuscripts in dusty monasteries and scriptoriums. Equally so in the tales of Herculaneum libraries by the sea, papyrus rolls and the academia of ancient Greece. I was inspired to follow-up with Greek, Renaissance and Medieval art history courses, and this summer’s European history course. I’m sure over time, I’ll reach my own educated conclusions on “How the World Became Modern” but I’m grateful for the introduction to some very compelling ideas. 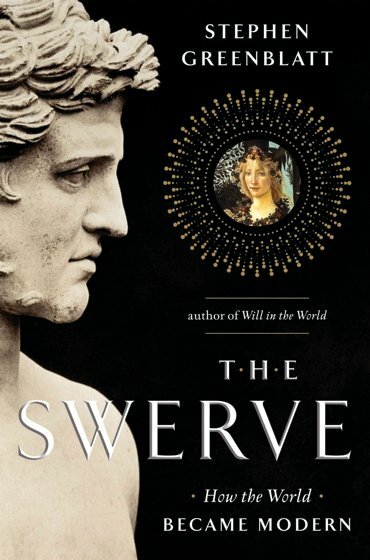 If you happen to be interested, History of Medieval and Renaissance Italy professor William Caferro offers the most balanced review of The Swerve I’ve come across. So here it is 4:57 am. My circadian system got all excited with the light of dawn and the convention of robins outside my window sealed the deal. Early morning is my favourite time of day. 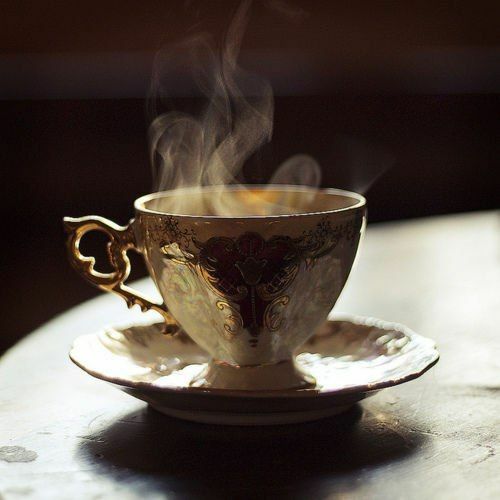 I don’t know if I’ll ever tire of the warmth and energy I find in that first gulp of coffee everyday. Hello old friend. I took a creative writing class last semester. One of our assignments was poetry package, including a haiku. You might remember from grade school that haiku is a form of Japanese poetry, consisting of three stanzas arranged in syllables of 5, 7, 5. (I had to look that up, it’s been a long time.) Traditional haiku usually takes nature as its subject, but I rather prefer coffee. ‘Good one!’ my East Indian prof teaching an English class on Japanese poetry commented. That encouraged me so much, I wrote him another one. Spring! Spring! Spring! Spring! Spring! Unfortunately, my five word exclaim didn’t extend Spring’s brief stay. Summer rushed in like a 300 pound line backer and crushed the poor thing. I love the idea of summer, but I’m just not a summer girl anymore. (Flip flops & dairy queen, however…) I think by the time we’re 55, we all deserve an indoor cooling system. And a pool. And a really good garden hose. I have 2 of the 3. But let me tell you about the garden hose. I know it’s a bit peculiar to get so frothy about a garden hose, but my brother introduced me to the X hose a couple of years ago and we became fast friends. What’s not to love about the world’s first and only expanding hose?! Compact, lightweight, never kinks or tangles. Just watch this clip, seriously. You’ll thank my brother. I went out with my x hose last night, as I do every evening, in the cool, dusky light. I turned the nozzle to mist, and gave all my flowers a long, cool drink. As I stood there watching the mist make little rainbows above the hydrangeas and roses, I let the mist fall all over me as well. This reminded me of a story in Anne Lamott’s awesome book on writing, Bird by Bird. Now it may not be a lemonade maker that hydrates your life, but I’m sure there’s something. This summer, I’m hydrating with an online course on European history, a couple short family trips, a lot of good books, a little writing, coffee (hot in the morning, iced in the afternoon) and my x hose. How will be you hydrating your life this summer? So, I’m taking an online creative writing course this semester. I’m pretty sure it’s not proper english to introduce a topic with so, but so it goes. I’ve been reminded that there are alot of a great many academic writing rules that I don’t know, or have forgotten. 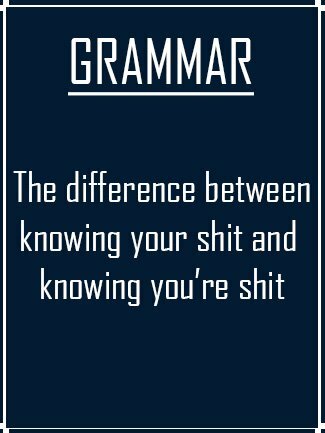 Like not starting a sentence with like, or with a conjunctive adverb, like unfortunately. Unfortunately, I quite like starting sentences with unfortunately. Having all this pointed out recently has been bit of a blow. The kind of blow that makes me want to gulp back a shot of Sambuca or buy a new pair of shoes. You know, deal with things head on. My prof is an East Indian man with a strong accent. You might wonder how I know this, given that this is an online course. Before registering, I thoroughly perused Rate My Prof and read it in the student comments. Something about this intrigued me, conjuring up exotic tales of The Little Princess or The Hundred Foot Journey. Imagining critique spoken in lyrical lilt softens it a little. Seriously, try it.